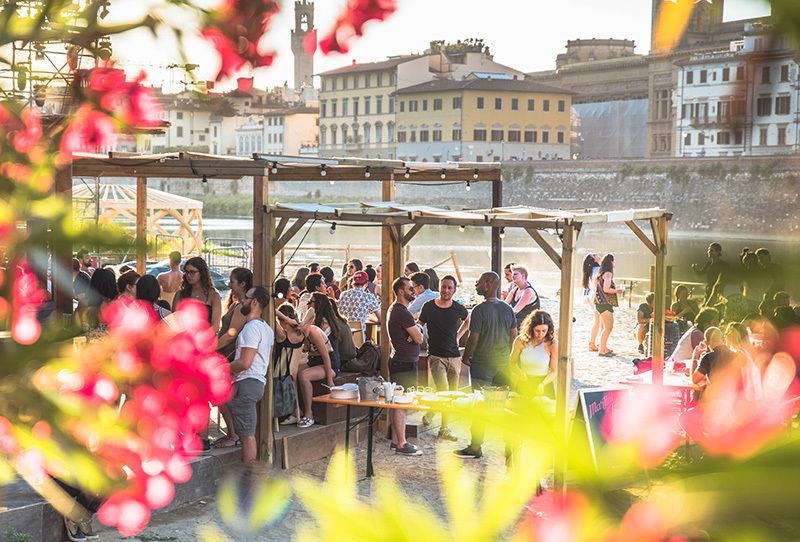 The Urban Beach of Florence has now entered the hearts of the Florentines and beyond. 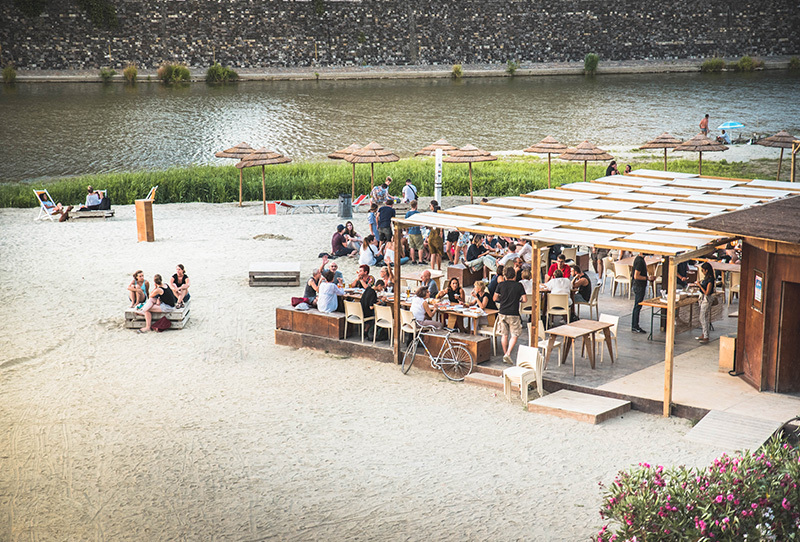 A unique space in the city where you can enjoy the summer in absolute freedom, relaxing, sunbathing, or sipping a cocktail at sunset at the Beach Bar. 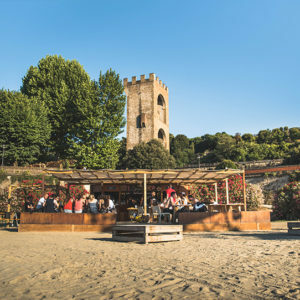 Concerts, DJ-sets, and Performances animate the summer evenings here, and we advise you not to miss them. 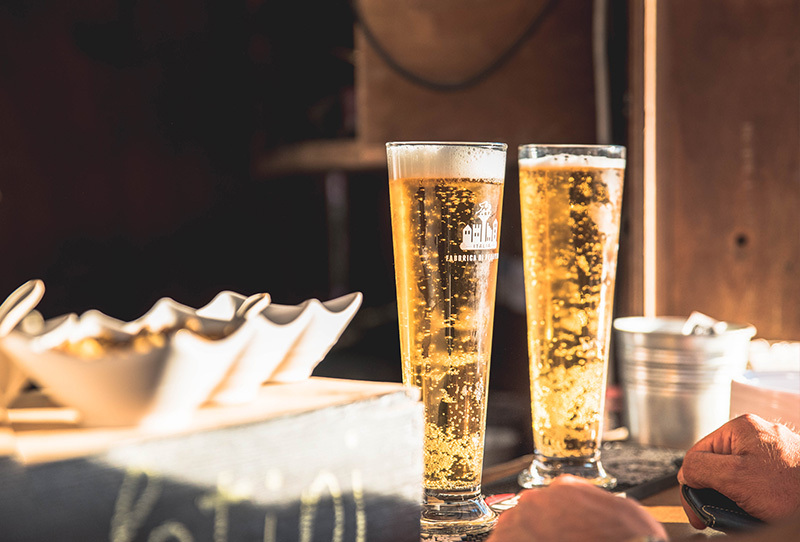 Seasonal closure, goodbye to May 2018! 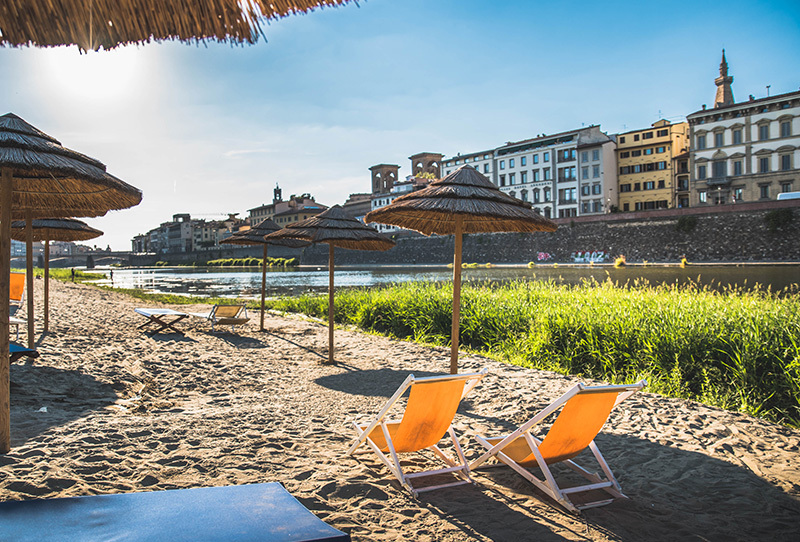 From 10:00 am to 6:30 pm there are free sun loungers and umbrellas on the beach. 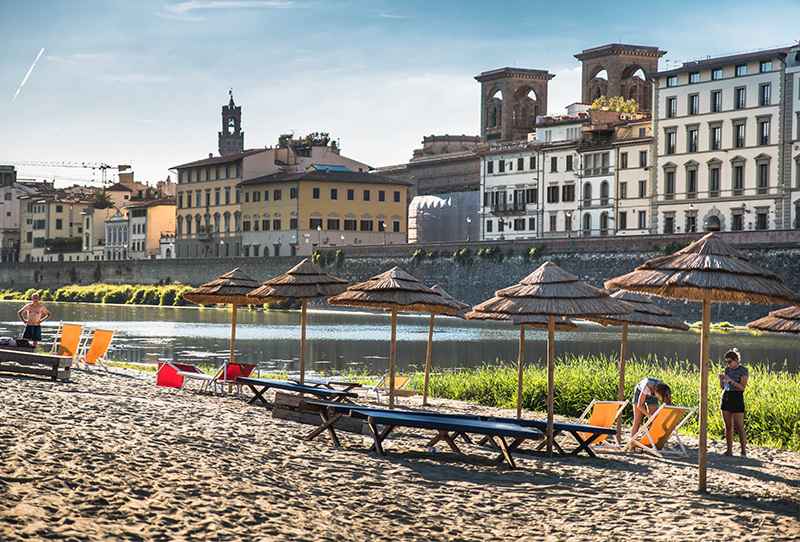 Plus there is an exclusive space for the most demanding sunbathers (at an additional fee). 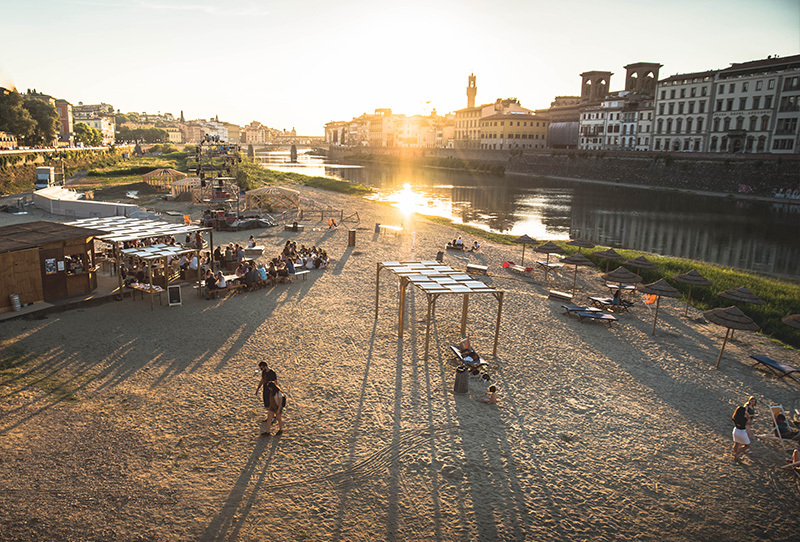 The Urban Beach on the Arno offers you the opportunity to enjoy summer sports and activities throughout the season: yoga at sunset, rugby, and the rental of playing fields on the sand. 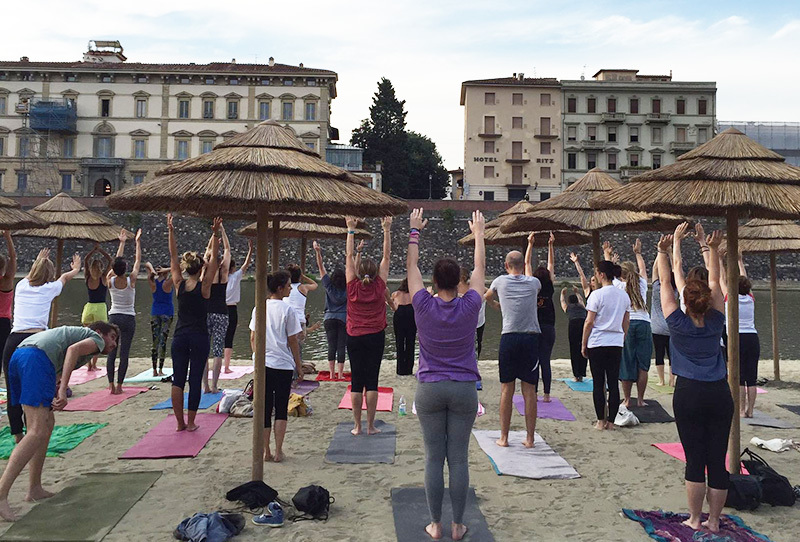 Every Wednesday at sunset, from 7:30 pm to 8:30 pm, we will be expecting you for an hour of Yoga on the beach with the masters of the 'It's Yoga' Association of Florence. Participation is free and no reservation is required. 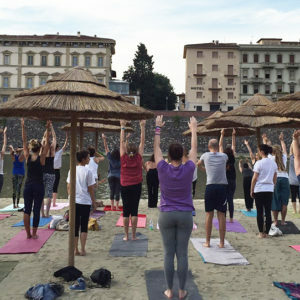 Just bring your mat and join the community on the banks of the Arno Beach. Namaste! 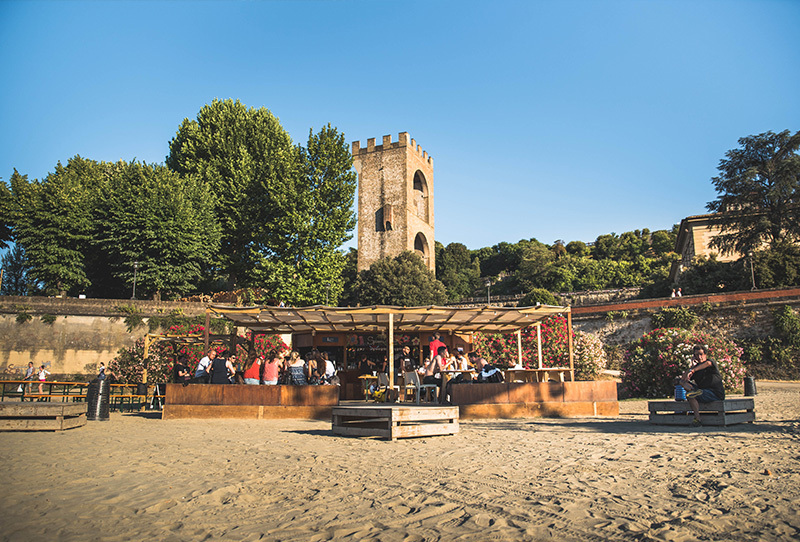 In collaboration with Federazione Italiana Bocce (the Italian Bocce Ball Federation), we present La Pétanque, a special variant of the Bocce Ball game that was born in Provence, France. The field was realised by the 'Studio 2abc' using recycled materials: it is a popular point for socialisation in addition to playing the game. During the summer season the Federation will hold presentation days. 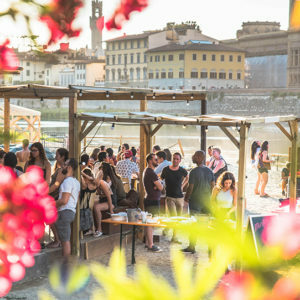 In collaboration with Firenze Rugby (Florence Rugby), every year the Florence Urban Beach Rugby Tournament is organised along with various other free events and courses to introduce people to this sport. In addition to official training, the teams formed by the participants in the courses will be able to participate in the annual tournament that takes place at the beginning of September. 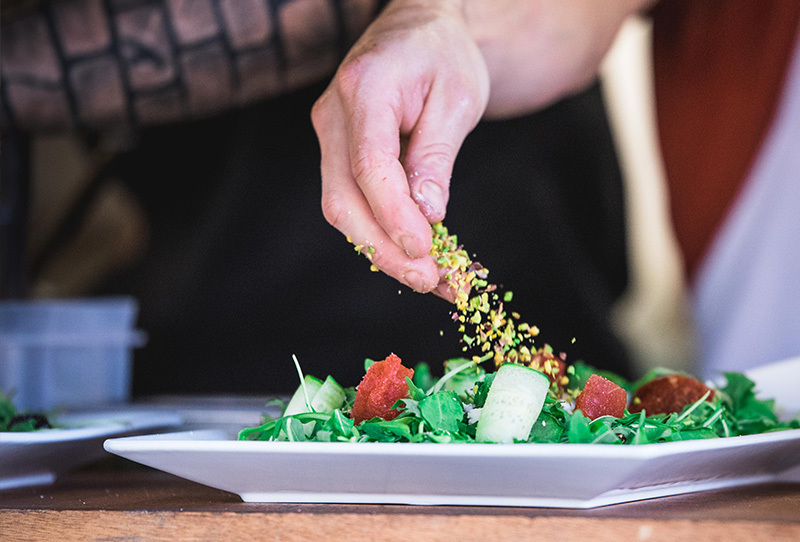 At the Beach Bar you will find carefully chosen seasonal, organic, and fair-trade products with a menu featuring fresh fruits, vegetables, and cereals. 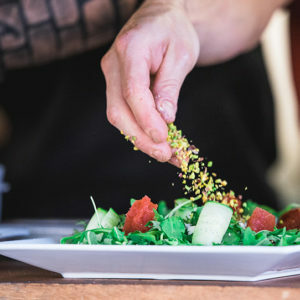 At lunchtime you can choose from a selection of sandwiches and salads made with short chain ingredients, fruit smoothies, and more. From this corner of the beach you can admire a breathtaking sunset over the city, sipping a beverage accompanied by treats from our appetiser buffet. 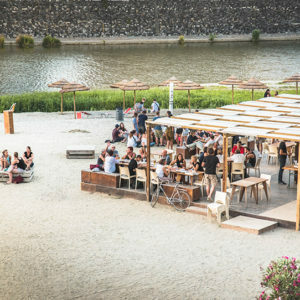 Your Own Private Beach Party? 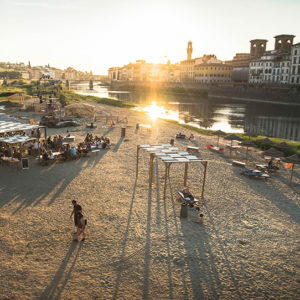 Organise your own aperitif at the Urban Beach on the Arno. You will have a private area and a personalised buffet. 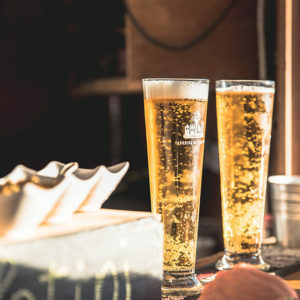 Amaze your guests with a special and easy cocktail party!